Capelon delivers a truly future-proof and scalable network solution for your streetlights to provide not only light but also a path to a future smart city. Capelon has delivered smart streetlights for over 10 years, and our company is one of the pioneers providing system and services for managed and networked streetlight luminaries. The benefits of saving costs and energy are well-known. An important factor is the awareness to have an up-to-date status of the streetlights and related assets. Up until 2016, Capelon has only delivered smart streetlight based on a standard powerline communication (ISO/IEC 1498-3). In the streetlight cabinet, there is a cabinet controller which can communicate via the mains to lamp controllers mounted in the luminary or on the pole. Using powerline communication has several advantages and is well-suited in many cases. 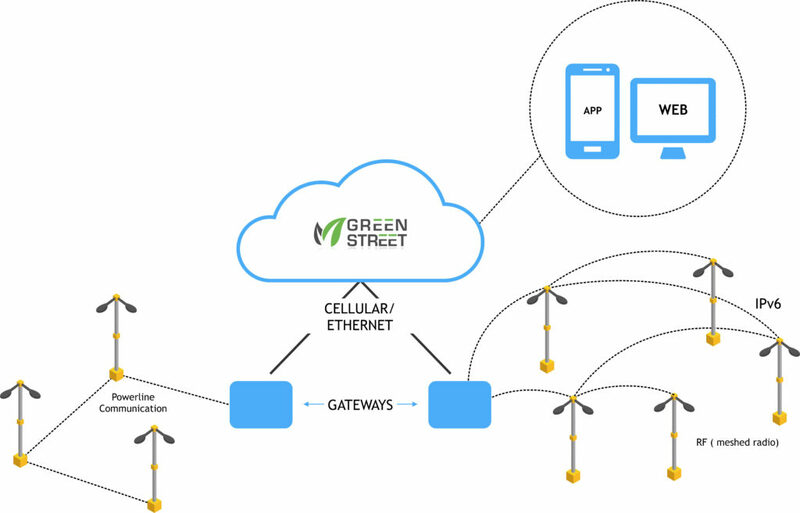 The meshed RF technology has its challenges, and the issues related to large-scale RF applications have for long prevented us from moving forward using RF within the GreenStreet system. But in 2016, Capelon partnered with the Finnish company Wirepas; together, we could deliver a solution that can meet the requirements for large scale smart streetlight and smart city installations. The main system components used in a smart streetlight system are luminary controllers and cabinet controllers. A luminary controller manages the luminaries by switching on/off, dimming, and monitoring its functions. The luminary controllers can be mounted outside the luminary with a Zhaga-based socket or using a standard C136.41 NEMA socket. A luminary controller can also be mounted inside the luminary, on the pole or inside the pole. The cabinet controller monitors the operation within the streetlight cabinet, including grid parameters such as power, cosfi, current and voltage. The Central Management System is called the GreenStreet Vision. With the GreenStreet Vision, you can dim any type of lamp individually or by group at any scheduled time. Schedules can be based on fixed times, light sensors or external weather and traffic conditions. 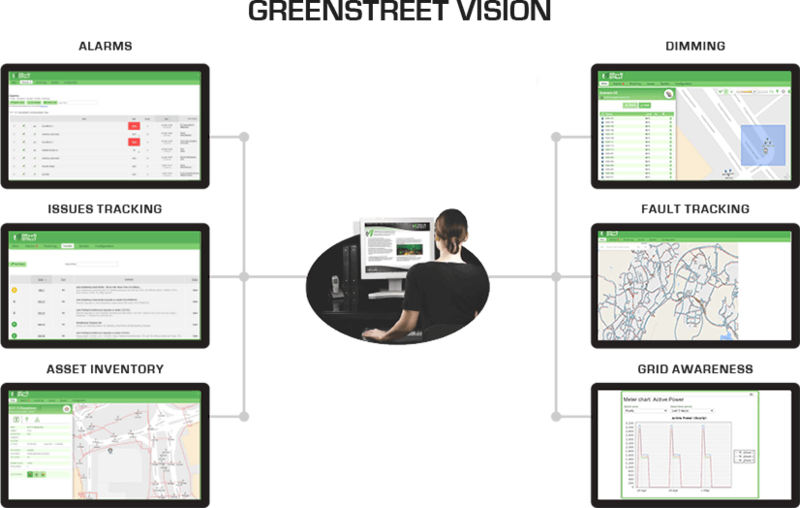 The GreenStreet Vision provides the maintenance organization with constant real-time access to relevant grid information and health status of the light points. The maintenance team will have information about where to go and when to go, and this team will always be prepared for the necessary replacements or repairs. Besides, all the city lights will function according to plans, and there won’t be any need for the citizens to report issues nor for the city to have night patrols.